If you’re looking for a way to spend a little less money around your home, try finding places where you can use 3-way light bulbs. Not only will they give you more control over the level of light in a given room, if used properly, they should save you money on your monthly electric bill. 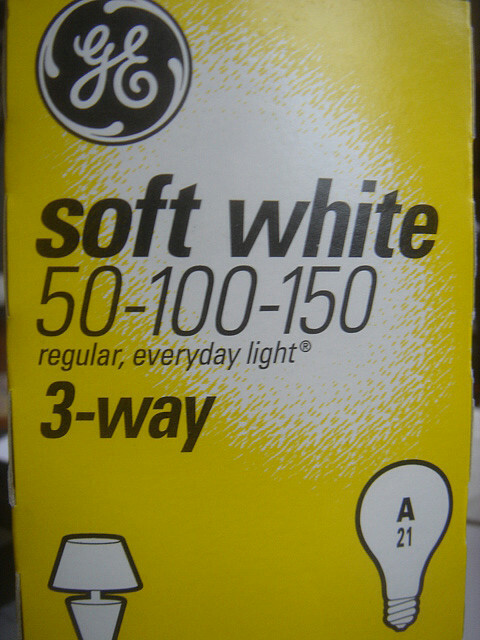 So what is a 3-way light bulb? Why go with a 3-way light bulb? Because it can save you money and still provide you with enough light for your daily/nightly activities. The idea here is pretty simple, don’t use more light than you need. Often times the bulbs in your lamp are producing more light than is necessary for whatever task you’re doing. By using a 3-way bulb you can reduce the amount of light and energy used thus saving you money. Fortunately, 3-way bulbs can now be purchased in both CFL and LED styles which means you can still get the same desired control over your light levels without having to use a less energy efficient incandescent lightbulb. 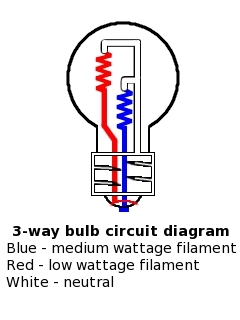 So how do you know if a 3 way bulb is applicable to a particular socket? The answer lies inside the socket itself. As noted in the socket pictured at right, there are three connection points. The second one is the one that is important to look for. If that connection point is present, it’s more than likely you have a 3-way bulb socket. Of course, there’s more to it than that. You also need a switch or twist knob that will allow you to toggle between the high, medium, low, and off settings on a 3-way bulb.